Figure 1. Two Crows pattern. The Two Crows is a three-line bearish reversal candlestick pattern. The pattern requires confirmation, that is, the following candles should break a trendline or the nearest support area which may be formed by the first candle's line. If the pattern is not confirmed it may act only as a temporary pause within an uptrend. Although the pattern name suggest that two lines form it, in fact, it contains three lines. The first line of the pattern is a white candle appearing as a long line in an uptrend, that is: White Candle, Long White Candle, White Marubozu, Opening White Marubozu, Closing White Marubozu. The second line may be formed by any black candle except the doji. The body needs to be located above the previous body. The last, third line, may appear as a long line having a black body, that is: Black Candle, Long Black Candle, Black Marubozu, Opening Black Marubozu, Closing Black Marubozu. The candle opens within the second candle's body, and closes within the first candle's body. We assume that it is enough if the gap appears only between the first and the second body. The shadows do not need to gap. The pattern appears rarely on the candlestick charts. Figure 2. An interesting thing about the Two Crows candlestick pattern is that its name suggest that contains two lines, although in fact there are three lines. On the chart, we have a Two Crows occurrence appearing short after a significant price drop followed by the bulls' defence. In other words, the market context is rather bearish which makes the pattern's occurrence more reliable. Price gaps after the pattern, which helps the bears to win the battle. The following candles shows that the bulls and bears are struggling for control of the market, but the latter eventually won. Figure 3. An occurrence of the Two Crows is cancelled by a White Candle formed at a high trading volume. The first line of the Two Crows, which often acts as a support zone, is now strengthened. Price resumes the uptrend. 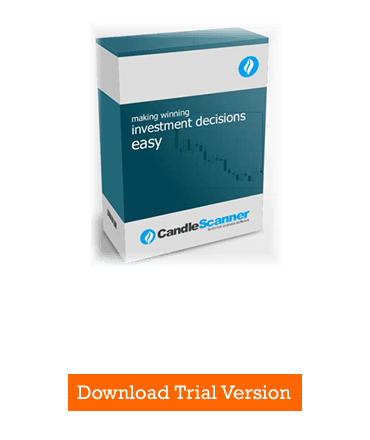 Below you can find some Two Crows pattern statistics calculated by CandleScanner software.